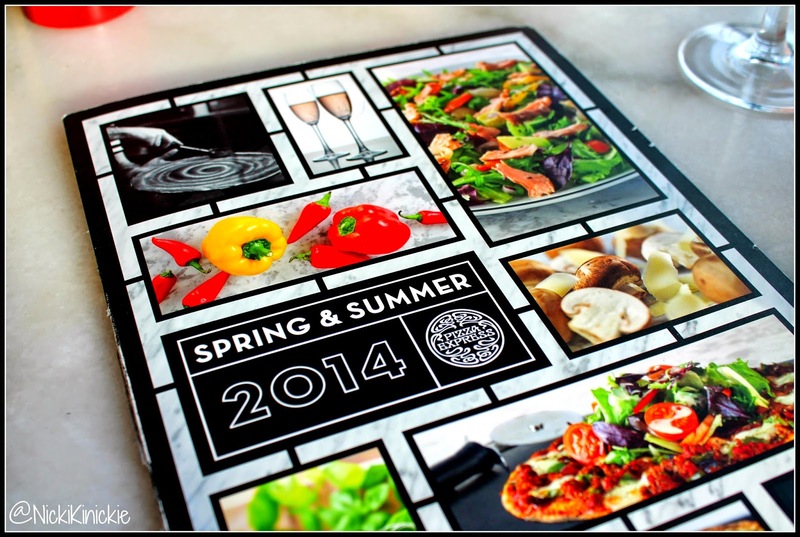 FOOD | Pizza Express Spring / Summer menu Review. 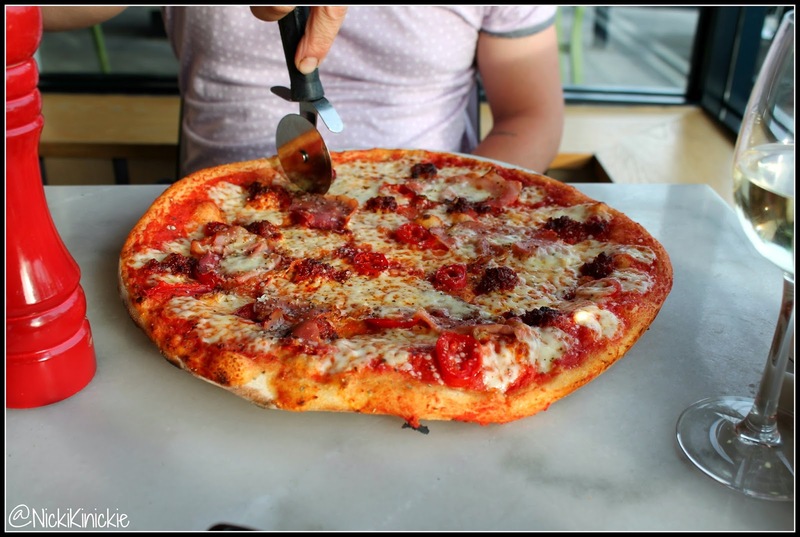 | Nicki Kinickie Nicki Kinickie: FOOD | Pizza Express Spring / Summer menu Review. 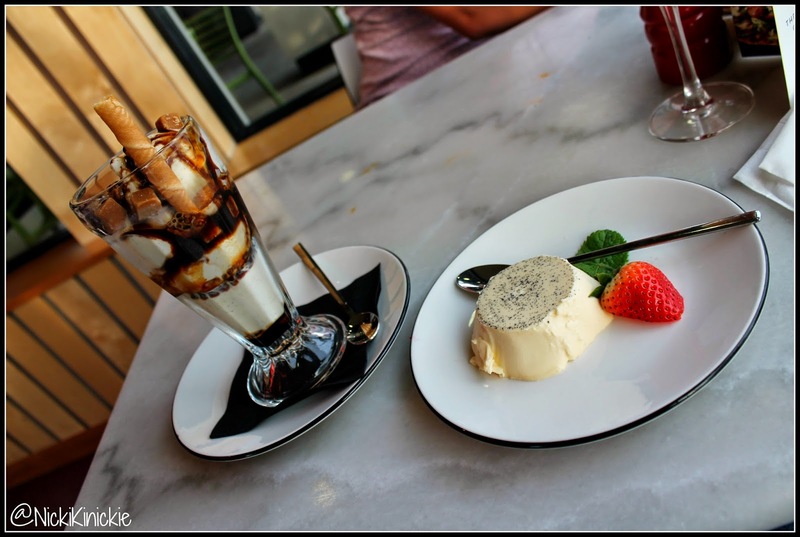 FOOD | Pizza Express Spring / Summer menu Review. 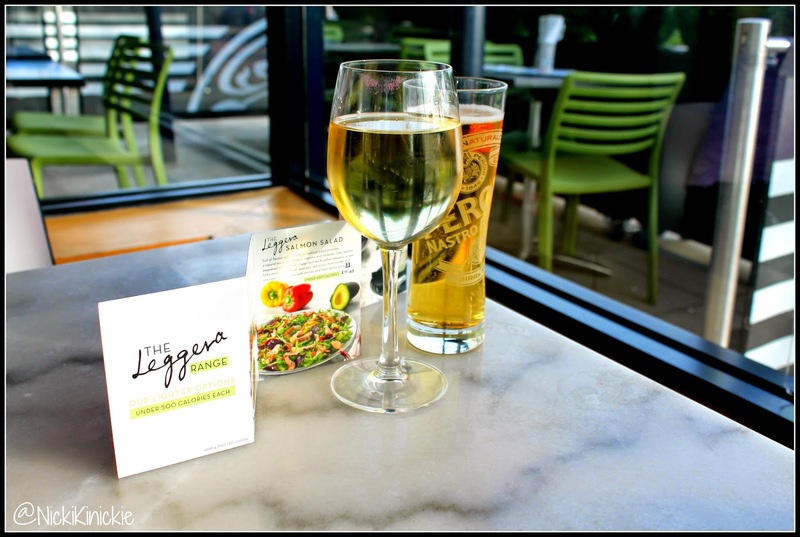 The other week I was extremely lucky to be asked to go and try out Pizza Express's new Spring / Summer menu with hubby. Sometimes you can have a really good eatery on your doorstep and never go there and then when you do, you wonder why you left it so long! Obviously Pizza Express is a chain and when we do go to eat out it tends to be at little pubs or family owned restaurants. We have nothing against chain restaurants AT ALL it is just what we prefer. That being said, I have eaten at Pizza Express before and I do really like it, there was one within walking distance near our old flat and we frequented it on the odd occasion and always enjoyed the food. Visiting our local branch reignited the love we once had for Pizza Express and we have vowed to make sure we visit there more often. The food is lovely and it is reasonably priced, plus we LOVE pizza. However, if you don't love pizza like us, there is plenty more on the menu to pick from. 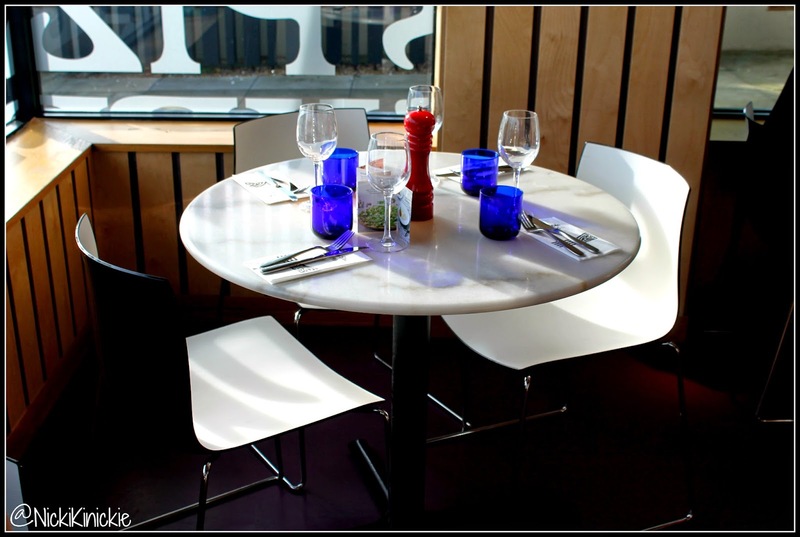 My local branch of Pizza Express is in Basildon at the Festival Leisure Park (Bas Vegas to us local folk), the decor is bright and airy with a spacious layout which to me, is very important! I hate going to places where you feel as though you may as well be sitting on the strangers lap next to you or you can hear their conversation over yours. We sat by the window and enjoyed the lovely summer evening with a couple of drinks while we enjoyed our three courses. 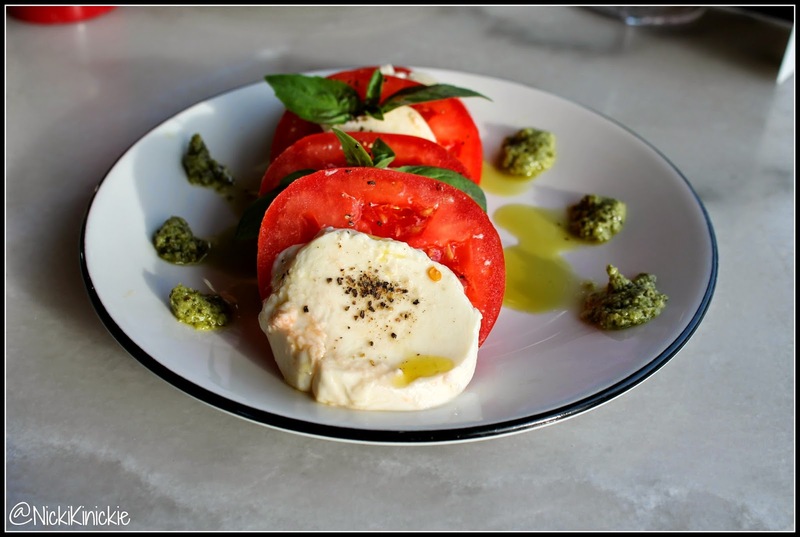 For starters I had a 'Mozzarella and Tomato salad' one of my favourite food combinations; delicious and fresh and always reminds me of summer. 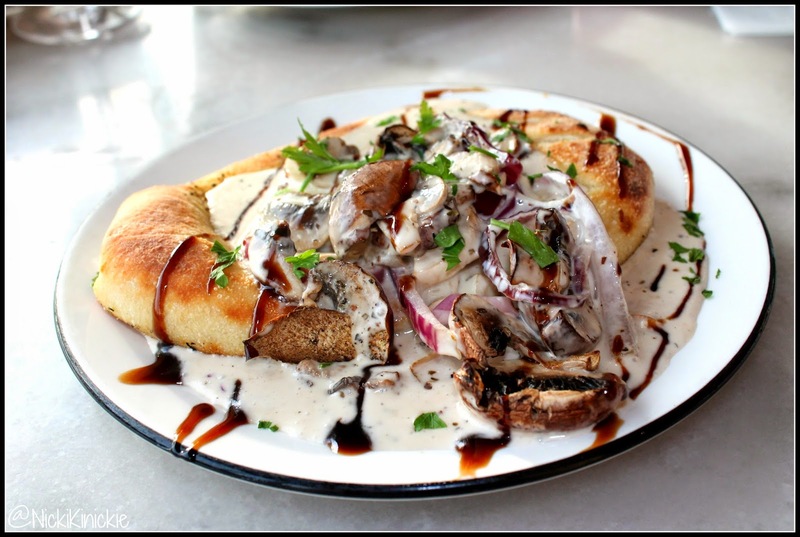 Hubby had 'Bruschetta con Funghi', mushrooms in bechamel sauce with red onion served on dough topped with parsley and balsamic syrup. He said it was delicious! I tried some too and it really was. For mains I had the 'Calzone Verdure' which is a vegetarian option with goats cheese, chargrilled vegetables, sweet baby onions, pesto, spinach, Gran Moravia cheese and a spicy arrabbiata sauce. 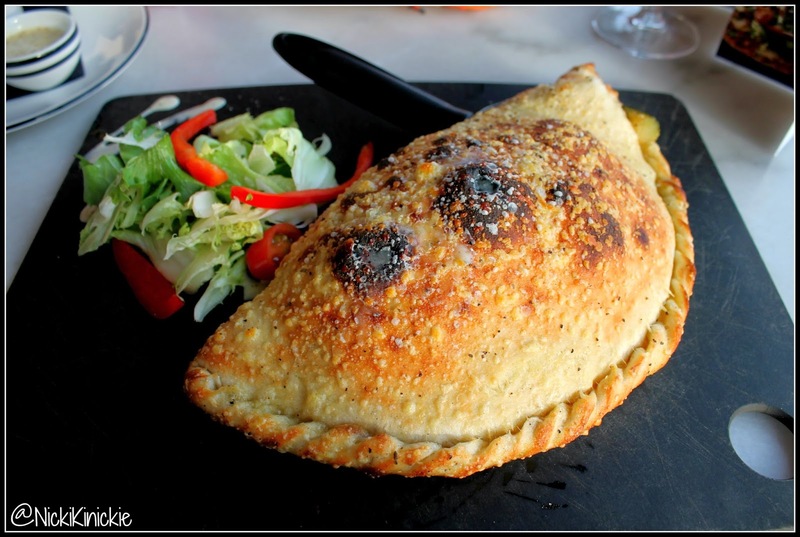 I love Calzone, it is one of my favourite meals and I quite enjoyed eating a meat free version. It had many of my favourite flavours and I easily finished every last bite. Hubby had a pizza called 'Etna' and was then surprised when it turned out to be very spicy! (Didn't take the cue from the name then?!)  I tried some and it was spicy and tasty! So if you're a fan of heat then I thoroughly recommend it. 'Etna' is topped with n'duja sausage, riquito peppers, speck ham, mozzarella, tomato and Gran Moravia cheese. Hubby enjoyed a 'Toffee Fudge Glory;' Vanilla gelato, fudge pieces, toffee sauce and a wafer which - as you can see from the photo - was divine! I was slightly jealous of his choice so made sure I had a few tries of his! 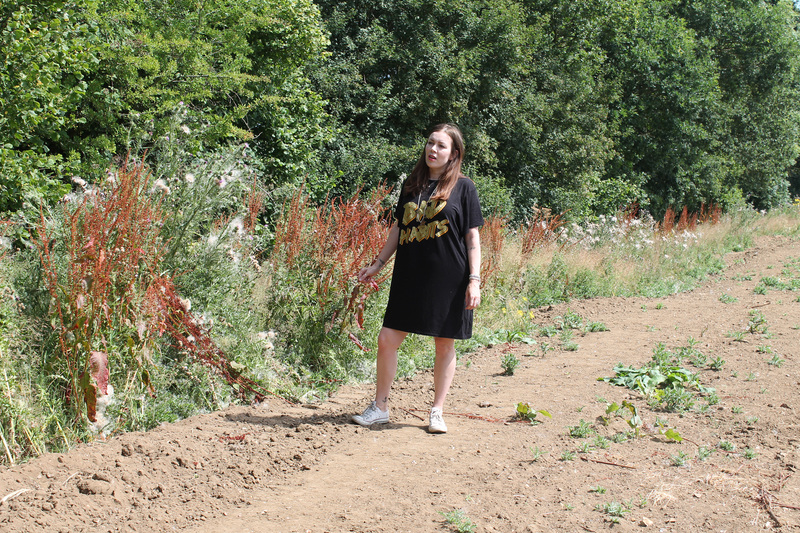 (all in the name of this blog post naturally). All in all, it was a lovely evening - it has a good atmosphere and the staff were extremely friendly and helpful. There is a LOT of choice on the menu too which is always good, I found it quite hard to decide what to have so once I had, I made sure I put the menu down and didn't look at it again to avoid the dreaded 'torn between two choices' scenario. To top off the evening we decided to scoot on over to TGI's and enjoy a cheeky cocktail before our lovely friend who was staying for the weekend came to collect and taxi us home. We had a lovely evening and both thoroughly recommend Pizza Express and if you live near the one in Basildon Festival Leisure Park, be sure to go there because the staff are extremely helpful and polite.